The perfect companion for your trip to Spain! 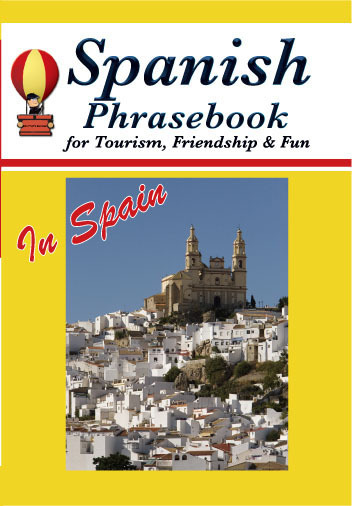 Whether talking with someone at an outdoor café in Alicante, making an acquaintance on a Torremolinos beach, bargaining with a shopkeeper in Montesa, or chatting with your neighbor on a train to Seville, you’ll be super glad that you have this 400-page English-Spanish phrasebook to guide you along. With almost three times as many phrases as other Spanish phrasebooks, you’ll be able to say most of what you want or need to say. Twelve appendices explain Spanish pronunciation, grammar, numbers, and time expressions, plus enable you to order food and drink in Spanish and comprehend common signs and labels. Plus $2.70 shipping (Media Mail) & handling.